Beautiful pendant and earrings set with Swarovski pearls and sterling silver. 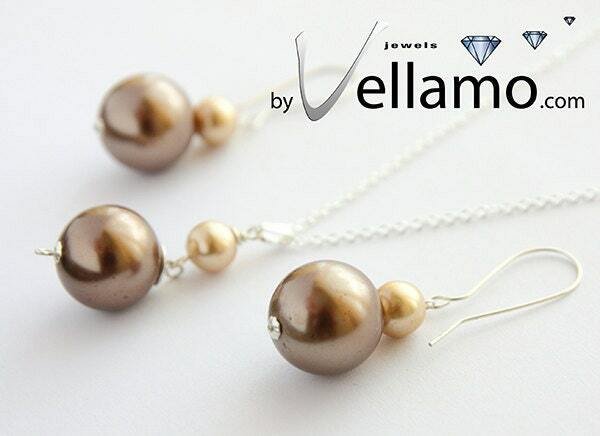 The Swarovski pearls are 15mm and 8mm, colors: crystal copper and cream rose. The sterling silver necklace is 45cm long.